Network Fun!!! 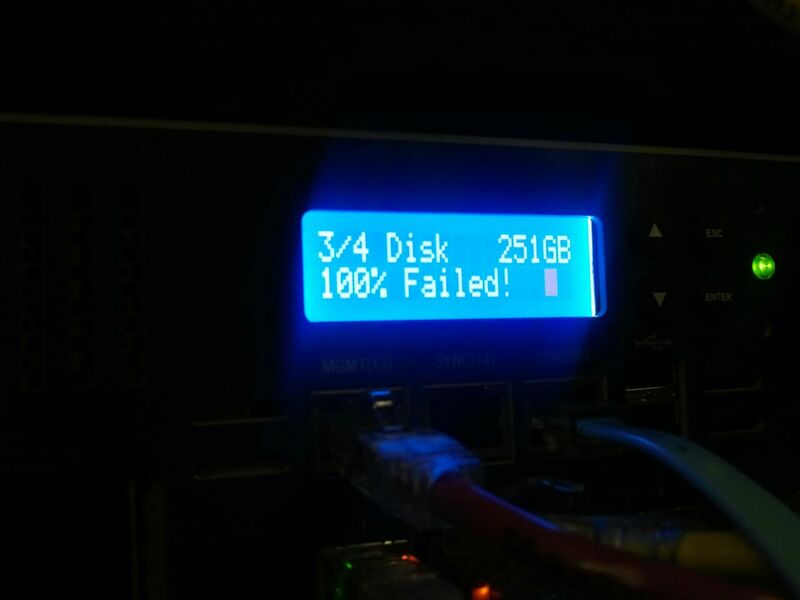 -- A Security/Network Engineer's Blog: Check Point: 3/4 Disk - 251GB - 100% Failed! Have you seen this picture below before? Well, I have a client that we have seen this twice, both an a 12400 Check Point box. If you see this, you are looking at replacing your hard drive in the unit. They will ship you another BLANK hard drive. Get the hard drive in the unit and start the re-install process.